It happens to all of us at sometime, and it is not unique to Photography. Another photographer (usually someone with a big ego) will accuse another photographer of “stealing” a location or photographic style. It is becoming more and more common , and I have seen friends take this abuse very personally. Did I just say abuse. Yes I did and abuse is exactly what is happening here. The most common situation is when someone shares a location/image on social media, or names a location when asked by a friend. In the small mind of the abuser this location is somehow secret, they believe that somehow it’s only to be known and photographed by them, at this point the abuse starts and the name calling, ego fueled bullying takes place. So has this abuse happened to me? I won’t lie to you, I’ve kept locations secret from others before, mostly because I was waiting for the right tide, the right weather etc, so that could capture and produce a unique image, I think this is only natural, the main difference is I knew that I never owned the right to a location. 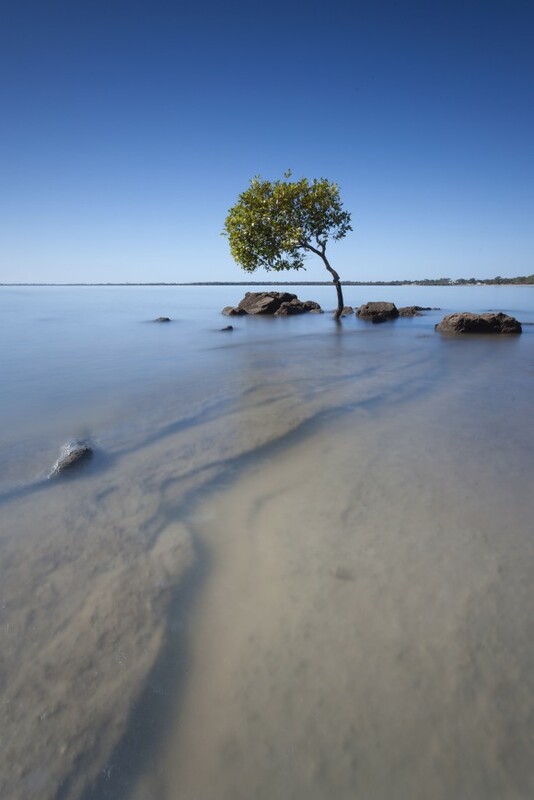 I couldn’t even begin to count the number of times someone else had stumbled upon a ‘lone mangrove’ while they were out scouting -the very same lone mangrove I’d been planning to revisit at the right tide and time. I just deal with it when it happens and move on. If you look around my website, there is not one single image that I could guarantee to be so unique (or at any one location) that another photographer had not been to or visualized taking the same image -captured or not. Does this worry me? not really, apart from the fact that I probably need to get out more and strive to shoot more unique and artistic images -but that is topic for another day. Having said that, my most popular images are usually very basic, simple images that are just captured and presented well. What to do if you are accused of location or style stealing? In my experience the best thing to do is thank the photographer for noticing your fantastic work, and then ask them how they stumbled upon your website or facebook post (after all marketing these days is 95% of photography), then politely inform the accuser that their image is not the first ever captured of said location, and that it won’t be the last. If and when they try and tell you otherwise, simply sit back and be proud of your work. No one owns a location, (unless the location happens to be private property or government/state land). But plain and simple, if you want to take an image of a particular location you can, never let anyone stop you. Who owns a photographic style? Photography is an art form, and yes there are some classic styles and a few popular styles come to mind. 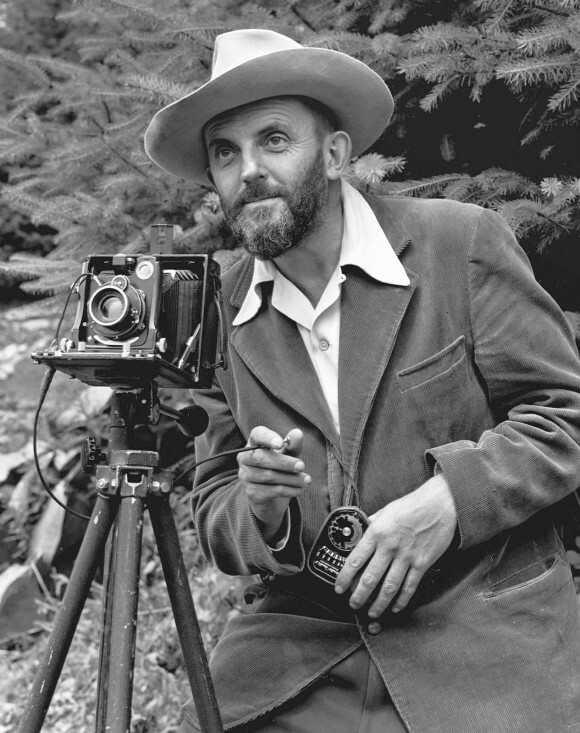 High contrast black and white photography by Ansel Adams for one, but lets not bring Ansel into this argument, the reality is Ansel was not the first photographer to produce contrasty black and white images -and he won’t be the last, however he was was someone who perfected and developed a technique/style that worked for him. “Ansel most likely the first to photograph many locations for the first time, but he also encouraged others to also get out there and do the same”. Photographic styles are a bit like ones taste in music, as anyone who has spent time trying to learn to play guitar will tell you, as you pick up the guitar for the first time, one of the first things you do would be to try and play a song form a band you follow -you will naturally try to play and sound like the musicians you admire. Your photographic style will develop and change overtime, as you progress and become a better photographer, at the same time others will fall in love with the hobby. When your work is discovered online or on display at your gallery, it is very likely that your new fans will and be inspired by your work, and they will strive to shoot like you. Before too long they will develop their own “blended style“ a style which I can guarantee you will be almost 100% like 1000’s of other photographers all over the world, from all ages and backgrounds. Deal with it. 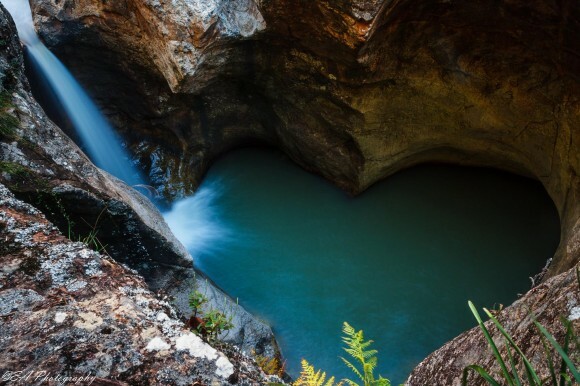 Get out there and capture nature, capture hearts and enjoy the journey. You have a right to style, you have a right to be inspired or to inspire others. Photography is more popular than ever, and I don’t see it slowing down anytime soon. Well said mate. Enjoyed reading this one. As purely an amateur photog with no desire to sell images, I’ll often look at other peoples images with interest and ideas for locations (as we all hit inspiration walls from time to time) – and often times see people ask where images are and generally either get told quite happily, or some kind of negative response. I’ve even met one photographer at sunset who we were showing each other images from that same days sunrise who immediately asked where I had captured my shots, so I told him (didn’t even think twice), asked him the same and he informed me that it was his “secret” location and he wouldn’t tell me. I ended up finding the same location a month down the track on Flickr and have since seen about 50 images. So wasn’t so secret after all! Compare this to something like all the photographers you see posting images from all the areas of Oregon in the USA – and they’re constantly giving each other great feedback, sharing locations and in most cases all shoot together. It’s like a sense of community which I think we currently don’t have in SEQ. Slowly getting there, but not quite yet. Totally agree Kane, it has happened to me too. Like you I keep locations under my hat, waiting for the right conditions, but when I’ve got the shot (and if asked) I’d tell someone where it is. In a similar case, a fellow local photographer told me where a particular location was, but asked me not to pinpoint it if I chose to photograph it, because the traditional land owners had requested some anonymity for the place. I subequently took some photos there, which went viral and I had a lot of people asking me where it was and I couldn’t say anything. It swings both ways with the style and location copying – when I got my first decent DSLR I definitely tried to emulate the look and style of other photographers – you need something to aspire too after all. Some years down the line and I think (hope!) I’ve developed my own style. Apart from the very obvious photo spots (Mrs McQuaries, Observatory Hill, Cathedral Rocks, Seabridge etc) which I think we all like to ‘tick off the the list’, I’ve never deliberately set out to photograph a location I’ve seen in someone else’s photos because there’s no challenge to it. I can admire their photograph but I’m far more interested in capturing locations that haven’t experienced a thousand shutter presses than locations that have. I sometimes get asked if someone can acccompany me when I head out and I nearly alway say no, not because I have some secret location/technique to protect, but just because I prefer to be on my own. I have my own routines and like being able to please myself when I’m out and about without worrying about getting in someone’s frame or wanting to move when they don’t etc. Anyway – great article – keep ’em coming. Loved reading your article and everyone’s feedback. This world has many beautiful things to photograph. Some of these are private to others and most likely will only be photographed by that individual, but a lot of things and locations that are available to us all. I think everyone has the right to photograph, share and be proud of their version of it. If you really want to make a public icon, or a known location your own, then get creative and find a point of view or difference that no one else has before, and shoot it in your own unique way. There is always a new way of seeing things..
As you know, recently I have been accused of stealing a location (although local tourism encourages visitation) and also of devaluing another person’s image because I shot at the same location, even though my image was nothing like theirs. It has also been said that because I shared the location of their “secret” place that social media will now be flooded with images which make the place no longer special. I guess my take on this, once I got over the initial shock that I was even seen as a threat in the first place, was that these people are perhaps not shooting nature with the right motivation. If it really is JUST about the image, then the purpose of photography is devalued immediately. Photography should be about capturing the beauty of a place and sharing that beauty with others. We all do that very differently and as Martin said, every day is different… different clouds, light, conditions. Every image is as unique as the artist who captured it. I have had the pleasure of following you on FB now for 3 years and you continue to inspire me every time you share an image. My recent location sharing has inspired some very young and talented photographers to get out and explore. Was I offended that they stole my place?? Not at all, I was more honoured that I had inspired them in the first place (I didn’t really think I was a photographer who would inspire). I have had numerous messages from these young people thanking me for my openness and willingness to share locations, settings and to give assistance where others refuse to. For me, that is all the recognition I need to encourage me to continue doing what I believe is right. Paying it forward. I haven’t ever been accused of ‘stealing’ a location or particular image….truth is I try to find the some of the locations Kane has captured (and he hasn’t abused me). Now we actually head out photographing together 😛 I think your musical analogy is perfect….when you start out you will play your favourite songs from your favourite bands and then you will discover what you want to play…same with photography. I do understand that for some people photography is their livelihood and they want to keep particular locations under wraps as they have a unique image there…but let’s remember that every single photo taken is always a unique image….no one will have exactly the same light, exactly the same clouds, exactly the same wind conditions at the same location ever! To go back to the original statement….I would be honored if someone took an image at a location I scouted myself and used my photography as inspiration. I certainly know plenty who have inspired me!